Primary Source Hint #1: The online catalog. Find a primary source document in the library collection with a KEYWORD search using your topic and the words listed below in the online catalog. Remember: if you have no luck searching the UD catalog, try the OhioLINK catalog. Primary Source Hint #2: Microfilm Collections. The library has several primary source collections on microfilm on the 2nd floor. Reader printers are located in the Current Periodicals area. Primary Source Hint #3: WorldCat, again. Valuable for secondary AND primary source material. Search this catalog as you would the UD or OhioLINK catalogs. Note that you can limit to Archival Materials. NOTE: If you are using WorldCat for primary source material, keep in mind that many Archives do not lend materials. Look to see if the source material is nearby or if there are multiple libraries that own a copy. 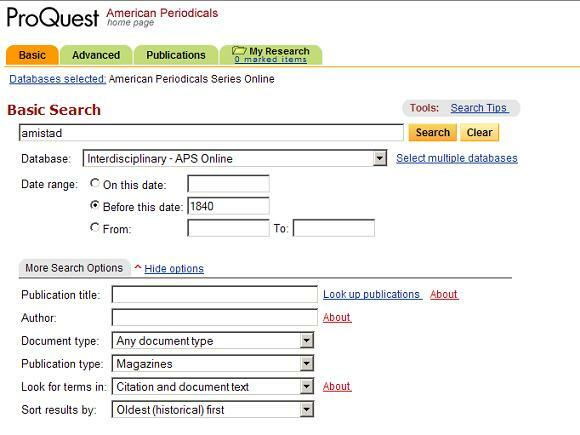 Primary Source Hint #4: American Periodical Series Online. Coverage runs from 1741 to early 1990s. Contains over 1,500 titles from the first American magazines through the World War I time period--over 200 years of American history as recorded in magazines, journals and newspaper. 1. Search within Citation and Abstract only. 2. Limit to only one Publication Type. Recommend Magazines, not newspapers. 3. Open up the More Search Options tab to see more limiters. 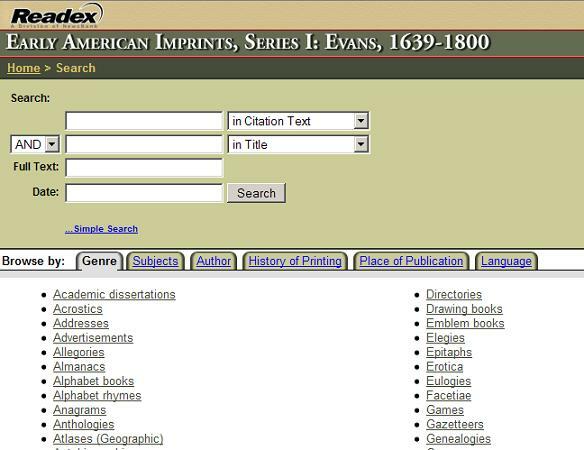 Primary Source Hint #5: Early American Imprints, Series I: Evans, 1639-1800 Online. Contains information about life in 17th- and 18th-century America, including agriculture, foreign affairs, diplomacy, literature, music, religion, the Revolutionary War, and more. NOTE: The text is in the language of the day, which makes for difficult reading on occasion. 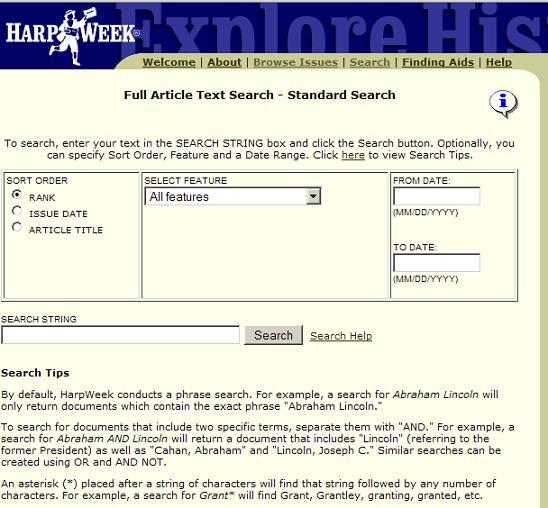 Primary Source Hint #6: HarpWeek online. Coverage dates: 1857-1871. Full text from Harper's Weekly illustrating Civil War & Reconstruction history, literature, advertising, society, and culture.